We are glad to announce that the booking platform Gaest.com has decided to become carbon neutral with us. 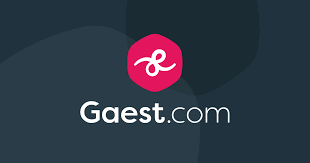 Gaest.com is an online community marketplace for discovering, listing and booking unique spaces for meetings, workshops, all kind of events. Starting today, the carbon footprint from every meeting booked on the platform will be offset to support reforestation and forest conservation efforts in Panama. By doing so, Gaest.com underlines its commitment to environmental action. Gaest.com acknowledges that climate change is a challenge every company needs to address and take steps to promote sustainable business. The platform will offset the carbon footprint as a natural part of its booking process. Additionally, Gaest.com has and will offset the carbon footprint of their headquarters in Aarhus, Denmark.